This paper presents an analytic formulation for anti-aliased sampling of 2D polygons and 3D polyhedra. Our framework allows the exact evaluation of the convolution integral with a linear function defined on the polytopes. 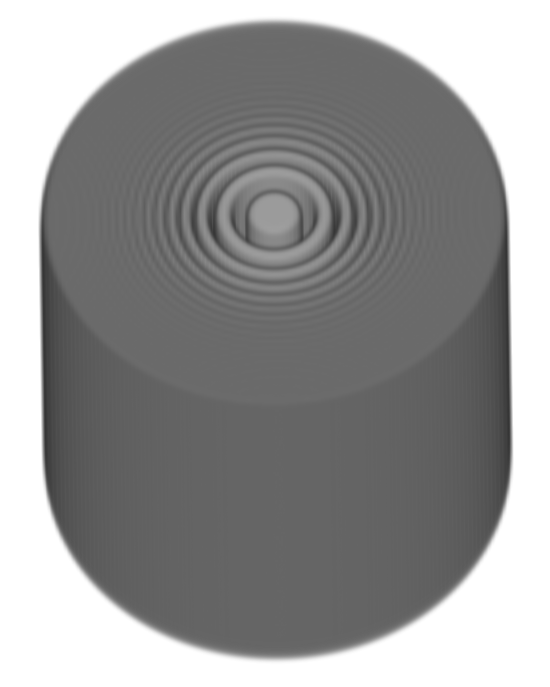 The filter is a spherically symmetric polynomial of any order, supporting approximations to refined variants such as the Mitchell-Netravali filter family. This enables high-quality rasterization of triangles and tetrahedra with linearly interpolated vertex values to regular and non-regular grids. A closed form solution of the convolution is presented and an efficient implementation on the GPU using DirectX and CUDA C is described. Fast Forward DivX: Video for the Fast Forward session (DivX encoded) (14 MB). Fast Forward TechSmith: Video for the Fast Forward session (TechSmith encoded) (107 MB). Intersection decomposition: Decomposition of the intersection volume between the spherical filter support and a input tetrahedron. The different colors denote different geometrical shapes for which a closed form solution of the integral can be obtained. Sea urchin model: Volume rendering of a sea urchin model sampled with our method. 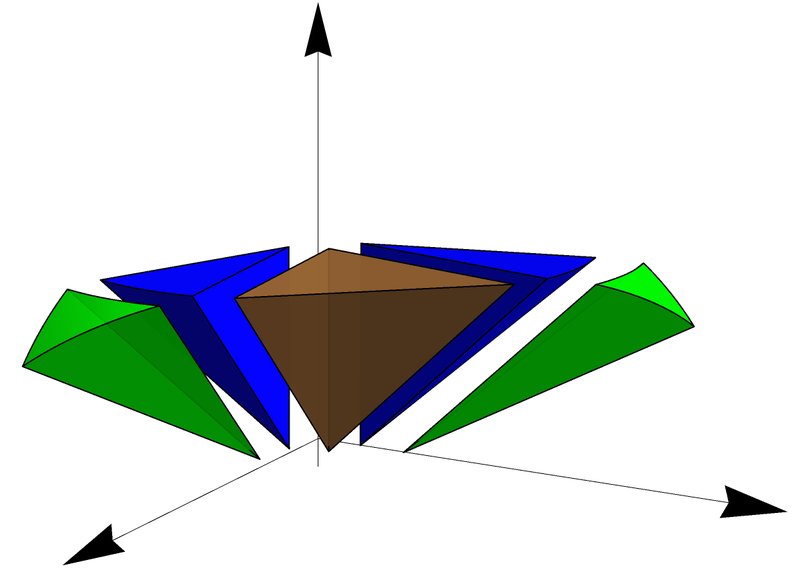 The color is linearly interpolated in the spike tetrahedra. The model consists of 2470 tetrahedra and is sampled to a grid with resolution 256³ with a Gaussian filter kernel of radius 2.3 voxels. Zone plate model: Volume rendering of a zone plate model consisting of 2M tetrahedra with a Gaussian filter kernel. Slides: Presentation slides without the final video (5 MB). SlidesVideo: Presentation slides with the final video (20 MB). interpolated vertex values to regular and non-regular grids.